Everyone deserves to lead a lifestyle that engages the mind, spirit, and body. 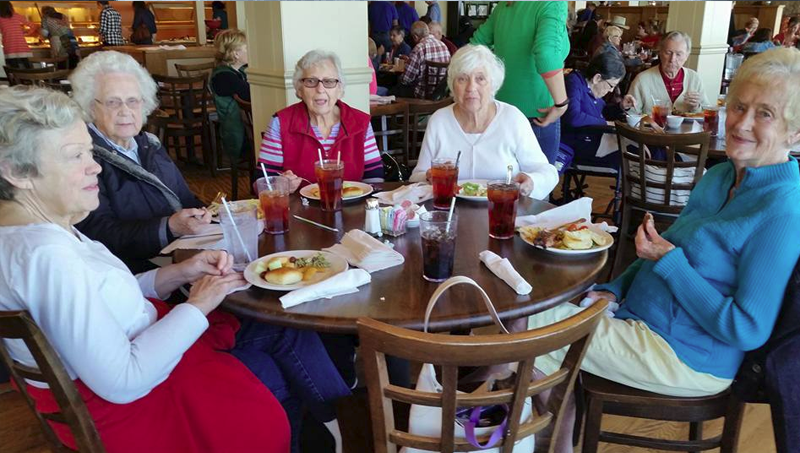 Residing in an assisted living community does not mean that your active days are over. Seniors have just as much of an ability to get moving as anyone else. Even if you rely on assistance for some daily tasks, check out these simple exercises for older adults to stay active! Keeping activities for the elderly interesting and fun can prove to an enormous challenge for caretakers. Fall is the most nostalgic season, evocative of cool days spent picking apples, carving pumpkins, and walking through the woods. When older adults cannot do extensive amounts of physical activity due to health conditions, there are still a number of seasonal activities they can participate in. Here are just a few ways to celebrate the season and bring the outdoors indoors for your senior. Have We Discovered a Mechanism to Stop Aging? As medicine has improved, increasing our ability to treat disease, so our longevity. The deterioration of the body with age, though, is a whole other matter. DALLAS — A recent United States of Aging Survey found that Americans aged 60 years and older report they are more motivated than the past two years to improve their health by exercising regularly and setting health goals — two simple steps which also relate to reported increases in optimism among seniors. According to the third annual survey, more than one-third of seniors (37%) say they exercise every day, compared with 26% in 2013. For many seniors, high activity levels correspond to a positive perspective on life: seniors who exercise daily are much more likely than those who never exercise to say the past year of their life has been better than normal rather than worse (28% compared with 15%). More than half of seniors (53%) report setting health goals in 2014, compared with 47% in 2013. Seniors who set health goals are more than twice as likely to think their overall quality of life will improve compared with those who did not set health goals (38% vs. 16%), and more than three times as likely to be confident their health will be better in future years (28% vs. 9%). The top three health goals set by seniors this year are eating healthier (37%), losing weight (30%) and living a more physically active lifestyle (24%). The results of the 2014 survey are being released today at the 39th Annual n4a Conference & Tradeshow in Dallas as part of a larger effort led by n4a, NCOA, UnitedHealthcare and USA TODAY to examine seniors’ attitudes on a range of issues such as health, finances and community support. When asked who is the most influential person motivating them to live a healthy lifestyle, nearly 4 in 10 seniors (39%) say themselves. More than one quarter of seniors (26%) say their spouse motivates them, and 15% say their adult children do. Regardless of the source of motivation, this year’s uptick in healthy behavior corresponds with a notable shift: for the first time in the three-year history of the United States of Aging Survey, more seniors say the past year of their life was better than normal (24%) as opposed to worse than normal (22%). When asked what worries them the most about their senior years, the top three answers for seniors are “not being able to take care of myself” (16%), “losing my memory” (14%), and “being a burden” (9%); however, a majority of seniors (85%) feel confident that they are prepared for changes in their health as they age. More than half of Americans over 60 (58%) say they have discussed end-of-life care with loved ones, a proportion that rises to 64% for seniors 75 and older. More than half of seniors (53%) report creating advance directives such as a living will, and 50% have shared advance directives with loved ones. Still, one in 10 seniors say they do not want to plan for or think about end-of-life care. For complete survey results, visit NCOA.org/UnitedStatesofAging. To watch live as the survey is presented at the Annual n4a Conference and Tradeshow in Dallas, including an interview with featured keynote speaker former First Lady Laura Bush, visit USofAging.USATODAY.com. Join the conversation on Twitter with #USofAging. It’s no secret that the benefits of regular walking are many—improving heart rate and blood pressure, releasing stress, maintaining (or losing) weight, enhancing mood, feeling energetic. And you don’t need a gym membership, expensive equipment or even a lot of time to get started. Walking is one of the easiest ways to put you—and keep you—on the path to better health. Before starting any new exercise regimen, though, be sure to talk with your doctor to determine if it’s the right activity for you.